COMPATIBILITY: Works with Keurig 2.0 brewer, Elite B40, Classic B44, Ultra B50, Special Edition B60, Ultimate B66, Platinum B70, Platinum K79 Plus, Officepro B145, B140, B145, B40, B45 Elite, B60, B68, B70, B75, B79, B80, K145, K155, K200, K350, K40, K45 Elite, K500, K60, K65, K66, K75.SUPERIOR QUALITY: All water filters are made out of resin in order to protect your Keurig coffee machine from the damages posed by hard water buildup also eliminate the smell and taste of chlorine, sulfur and iron as well as some minerals, soften the hard water with a progress .Package: EASY AND SAFE: These Possiave replacement filters are incredibly easy to use as they are designed to simplify the filter exchange process. 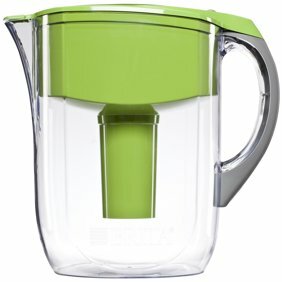 Each water filter is individually sealed with sufficient amount of resin beads in order to ensure the highest level of satisfaction.Easy to Replace - Removes Chlorine, odors, and others impurities from Water to keep your coffee tasting its best - Pack of 6GREAT TASTING COFFEE, TEA AND MORE: Replace the Keurig water filter every 2 months or every 60 water tank refills. Replace it more often, if you have hard water in your area. 6 Pack Charcoal Water Filter Replacement 05073 Fits Keurig 2.0 Coffee Makers COMPATIBILITY: Works with Keurig 2.0 brewer, Elite B40, Classic B44, Ultra B50, Special Edition B60, Ultimate B66, Platinum B70, Platinum K79 Plus, Officepro B145, B140, B145, B40, B45 Elite, B60, B68, B70, B75, B79, B80, K145, K155, K200, K350, K40, K45 Elite, K500, K60, K65, K66, K75.SUPERIOR QUALITY: All water filters are made out of resin in order to protect your Keurig coffee machine from the damages posed by hard water buildup also eliminate the smell and taste of chlorine, sulfur and iron as well as some minerals, soften the hard water with a progress .Package: EASY AND SAFE: These Possiave replacement filters are incredibly easy to use as they are designed to simplify the filter exchange process. Each water filter is individually sealed with sufficient amount of resin beads in order to ensure the highest level of satisfaction.Easy to Replace - Removes Chlorine, odors, and others impurities from Water to keep your coffee tasting its best - Pack of 6GREAT TASTING COFFEE, TEA AND MORE: Replace the Keurig water filter every 2 months or every 60 water tank refills. Replace it more often, if you have hard water in your area. I was very pleased with the easiness of this purchase. I was able to have it shipped to my local store. They work great in my machine.